Good products are often those with simple, minimalist design, sort of like the new outdoor seating concept developed by students at Pune, India-based MIT Institute of Design. 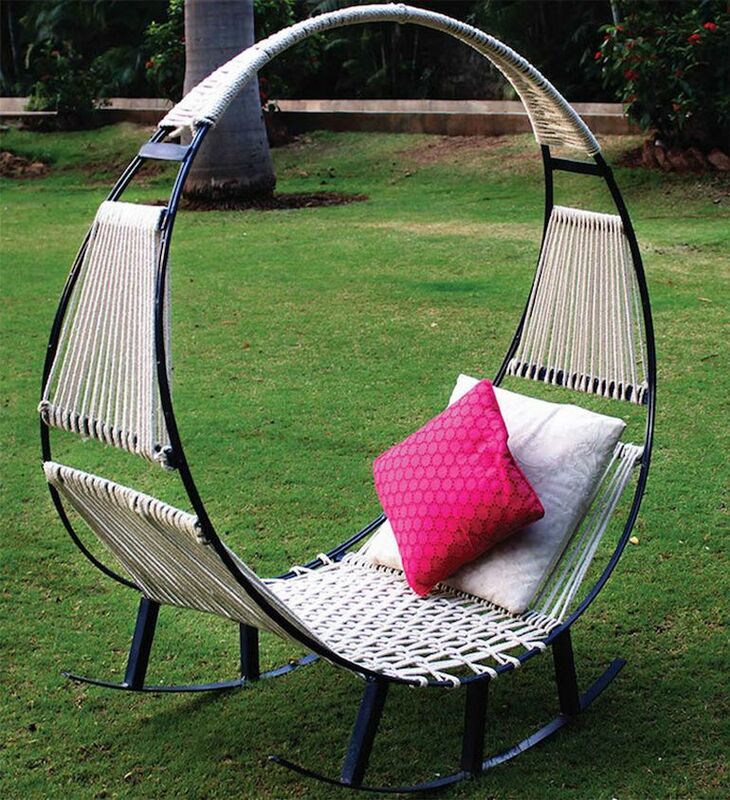 Looking like a cross between a rocking chair and a hammock, it allows you to curl up outdoors with your favorite book. 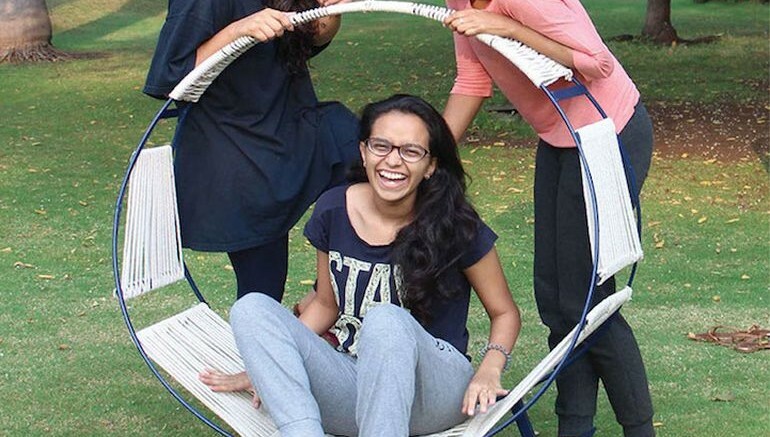 This incredibly innovative hammock-rocking chair hybrid was designed jointly by Shivani Gulati, Harshita Murudkar and Mehak Philip, as part of a competition organized by the MIT Institute of Design. As the developers point out, this versatile outdoor seating combines the dynamic design of a rocking chair with the spaciousness of a hammock. The group first constructed the circular metal frame, spending the remainder of the two-week period painting it and looking for the ideal weaving techniques. To create the seat, the team combined three different weaving styles, including basic, twilled and tribolite patterns. 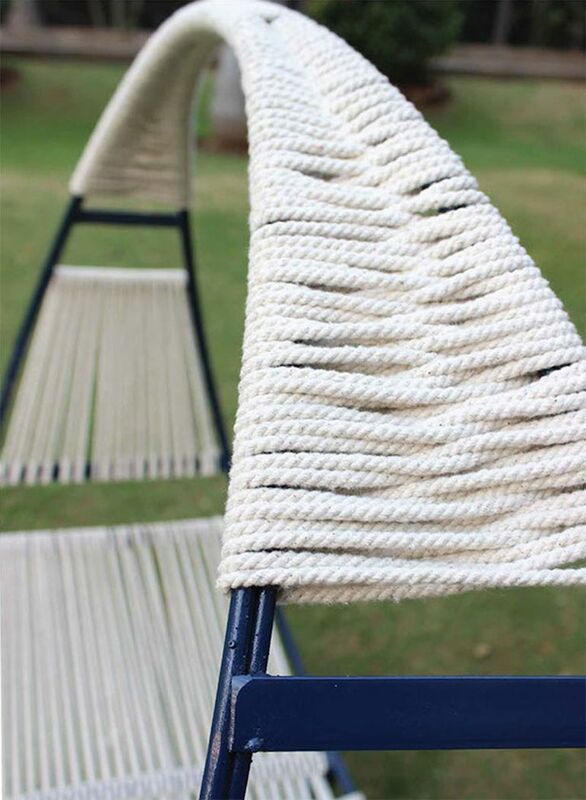 The simplicity of the design is what makes this ingenious hammock-rocking chair hybrid a supremely marketable product. To know more about the student designers and their creations, head over to their respective Behance pages (Harshita Murudkar, Mehak Philip and Shivani Gulati).